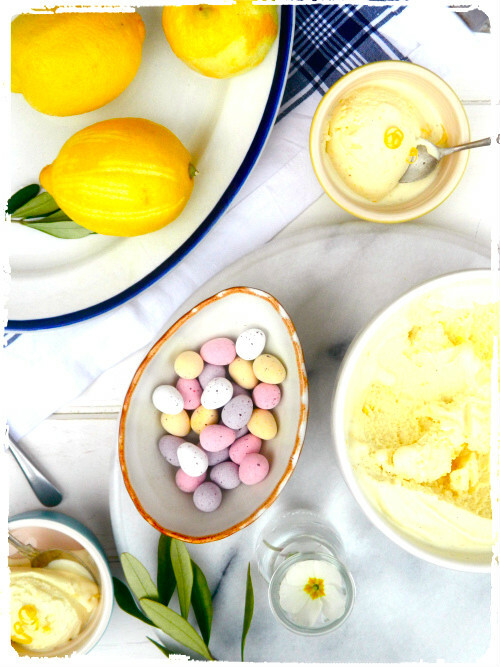 Easter is and has always been all about lemons for me, as their light, sunny flavours and cheerful pastel tones make them perfect for this time of year, when there’s flowers on the table, white wine cooling in the fridge and optimism in the air. 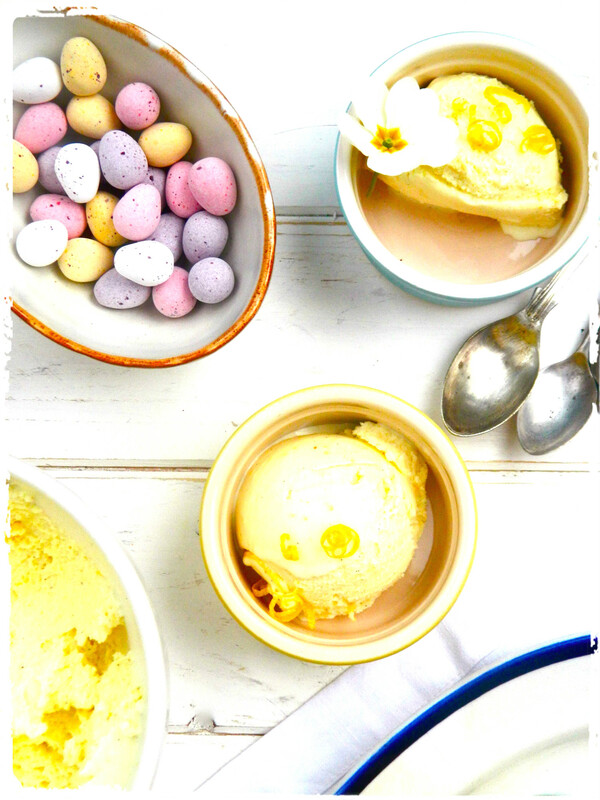 So when I’m looking for ideas for Easter lunch, I look to Italy, Greece or the Middle East for inspiration, as all of these cuisines revere and elevate the not-very humble lemon into something quite extraordinary – think of Greek lemon soup, a Sicilian lemon cake or a beautiful leg of lamb with a lemon and herb crust – all perfect options for Easter, all delicious and, crucially, all very lemony. 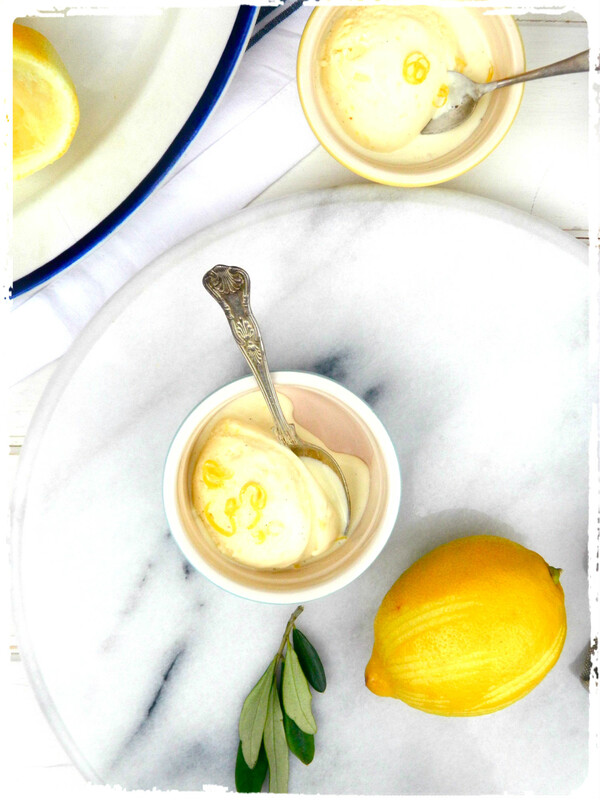 But I couldn’t decide which cuisine I wanted to go for when I came up with this recipe for a lemon and Greek yoghurt ice cream: it’s sort of Grecian (with the Greek yoghurt and the lemons! 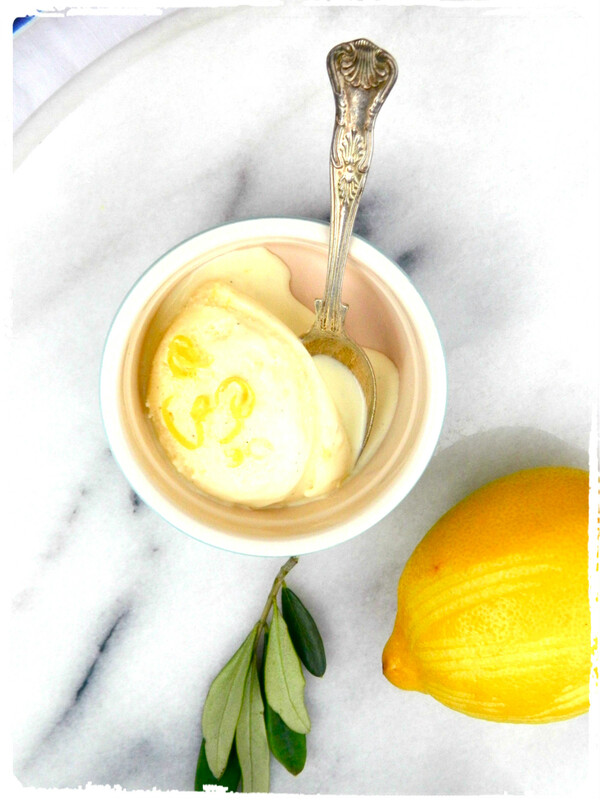 ), and it’s sort of Italian too, as it’s made like gelato, with egg yolks and whole milk and vanilla. 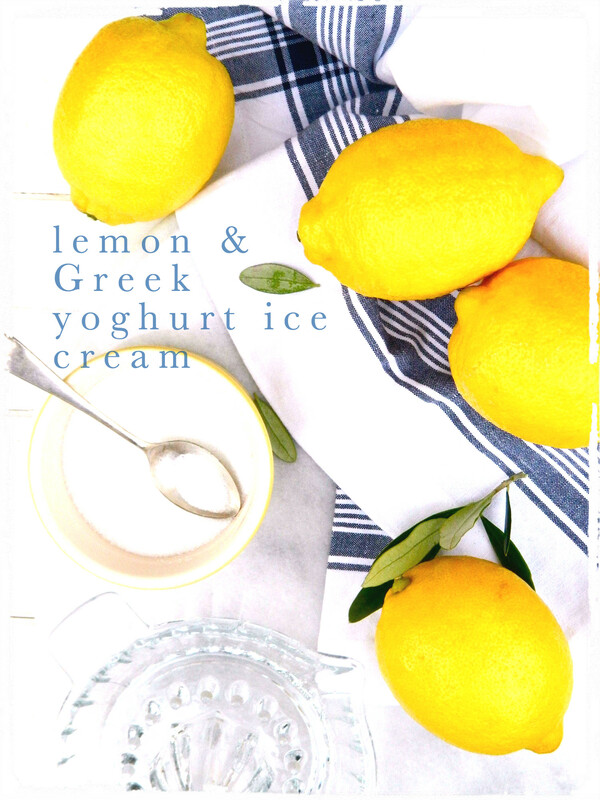 Either way, whether Greek or Italian, it’s lovely, lemony, springlike and delicious and would be the perfect end to whatever sort of Easter lunch you’re having, Mediterranean or not. Serve little bowls of this with lemon zest, flower petals and little chocolate eggs for a lovely end to your Easter or early spring lunch. Freeze your ice cream making bowl the night before. Set a heat-proof bowl over a saucepan of simmering water. 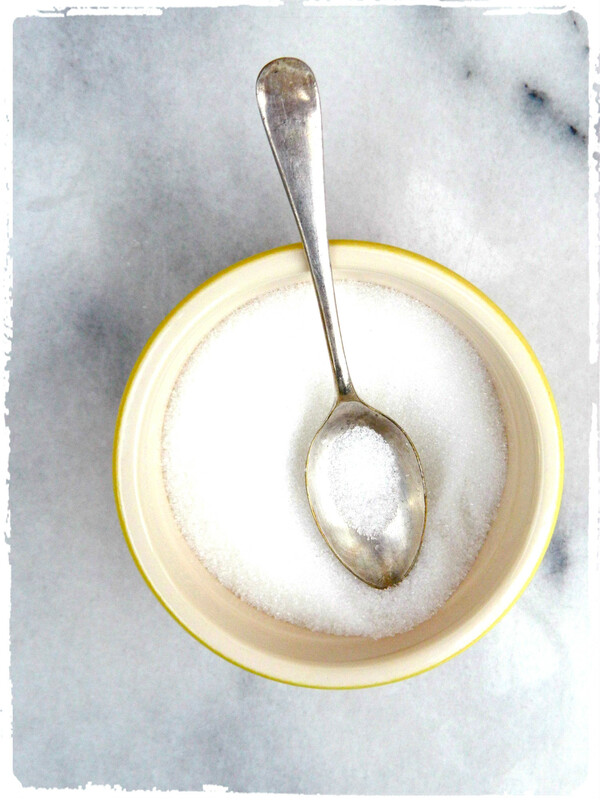 Add the sugar, zest of one lemon, a cap or two of lemon extract and the scrapings of a vanilla pod. Add the leftover vanilla pod too, along with the cream and milk and heat until warm and the sugar has dissolved. Meanwhile, beat the egg yolks with a hand mixer until frothy. 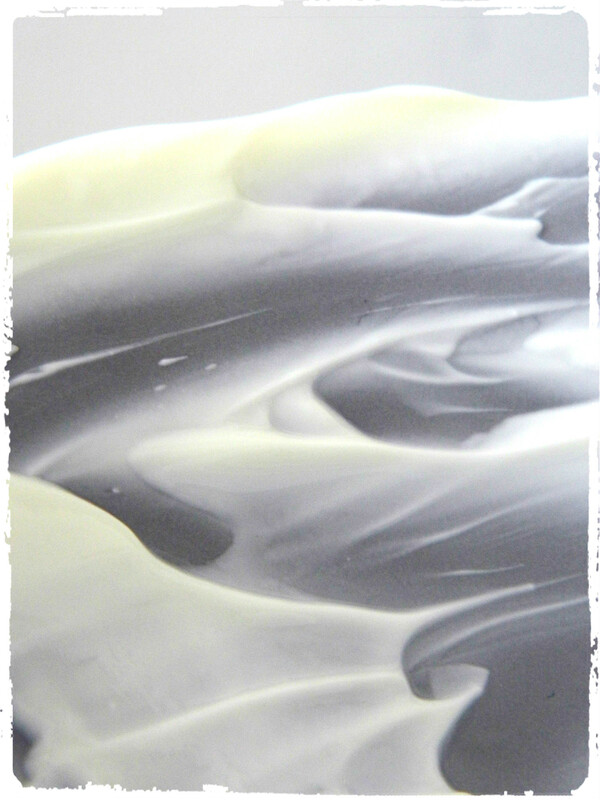 Add a small spoonful of the warm milk-cream mix and continue to mix. Add another small spoonful, then another, and another, and another. 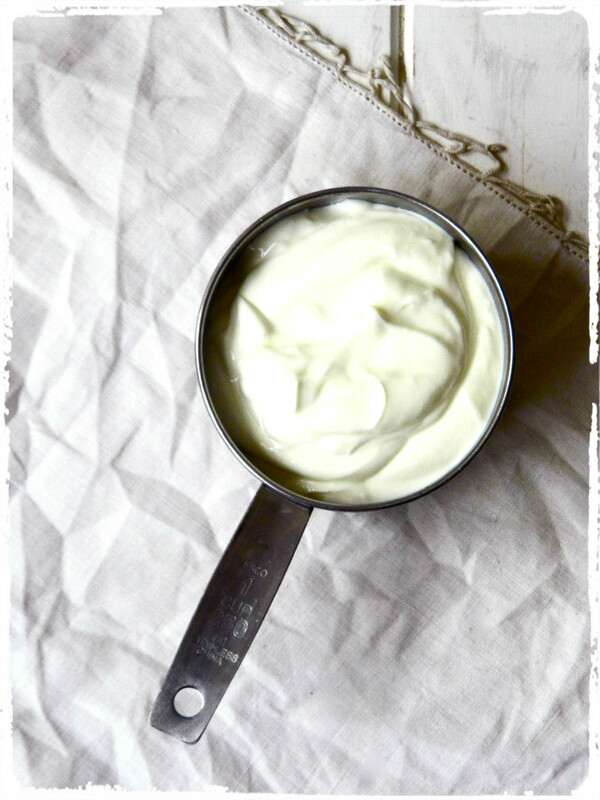 Then tip all of the egg-milk-cream mix back into the bowl over the simmering water and continue to cook until the mixture is thick enough to coat the back of the spoon. Refrigerate the mixture with the vanilla pod still in it. When it’s fully cold, fish the vanilla pod out, start your ice cream maker up and slowly pour in the mixture. When it’s almost frozen, add more lemon zest and incorporate fully. 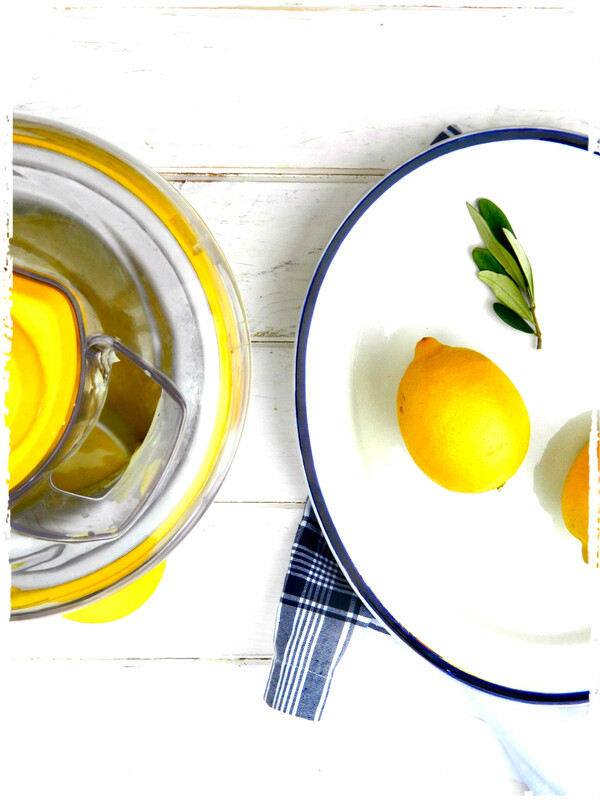 Stir in two tablespoons of the fresh lemon juice and taste. If you want a little more zing, add another half tablespoon of fresh lemon juice. Either serve immediately for soft-serve or transfer to a plastic box or tin and freeze for a little longer for a firmer ice cream. Stunning photos as ever Ellen!